You go inside the café, order your drink, and take a seat. Almost immediately, you take out your smartphone and search for available Wi-Fi connections—and there is one, great! You quickly click on the network, maybe type in the coffee-shop security password if it isn’t an open network, and wait impatiently for it to load up so you can get some work done or answer your email or chat with friends, whatever. 1. They’re watching you. I don’t want to sound like a horror movie or a bad conspiracy theory, but it’s true: your network usage is being tracked. Companies like Facebook use any information about you that they can find to provide ads that they think will be relevant for you. 2. And it’s not just companies. If you read much news, you probably also know the government is watching everything you do as well. Maybe they’re just curious. But in some countries such as China, you can be arrested based on the things you put online, and government tracking has taken a malicious turn. All right, you might say, maybe that happens in China—but actually, there’s cases of people being arrested for cyber-crimes all over the world, including in the UK. 3. Entering a password doesn’t mean security – Some people make the mistake of thinking that just because they’ve had to enter a password to connect to the internet, it means that the network is safe. But if you were able to get the network password, do you really think that’s stopping anyone else? 4. You’re easy pickings for hackers – Log on to that coffee-shop website and there are probably at least a couple other people logged on to it with you. And your computer is sharing everything about you whenever you access a website. These packets of information, called cookies, can include things like your location, passwords, sites you visit frequently, etc. It’s very easy for a hacker to get this info and then use it to steal your identity. 5. Sharing isn’t caring. Although you’ve probably been taught your whole life that nice people share, this isn’t true when you’re talking about public Wi-Fi. Make sure you turn off file sharing and network sharing when you’re out in public—otherwise, you’re making it even easier for hackers to connect to your computer and giving them an easy way to load malware onto your computer without your knowing. 6. Malicious hotspots – As if it weren’t enough to be worried about what happens when you’re connected to a public Wi-Fi network, you also have to worry about which networks you’re connecting to. In fact, it’s very easy for someone to set up what is known as a malicious hotspot. These appear to be free public hotspots, but they’re set up by someone who gets you to connect to their network and then can steal your information or give you malware. Be very careful that the network you’re connecting to is legitimate! 7. Automatic connections – On related note, you should make sure your device isn’t automatically connecting to whatever free, open Wi-Fi is around you. Sure, it might take you an extra couple minutes to search for a network and connect to it when you need one, but for the sake of your security, take those extra minutes just to ensure that you’re not accidentally connecting to a malicious hotspot. 8. Use a firewall and anti-virus software – This may seem like a no-brainer for some of you, but you’d be surprised how many people don’t take the time to set up their computer’s firewall properly. And there’s another set of people who don’t bother to use anti-virus software, incorrectly believing that if they’re careful with what they download, nothing bad can happen. But really, you’ll want to make sure you’re using both. 9. 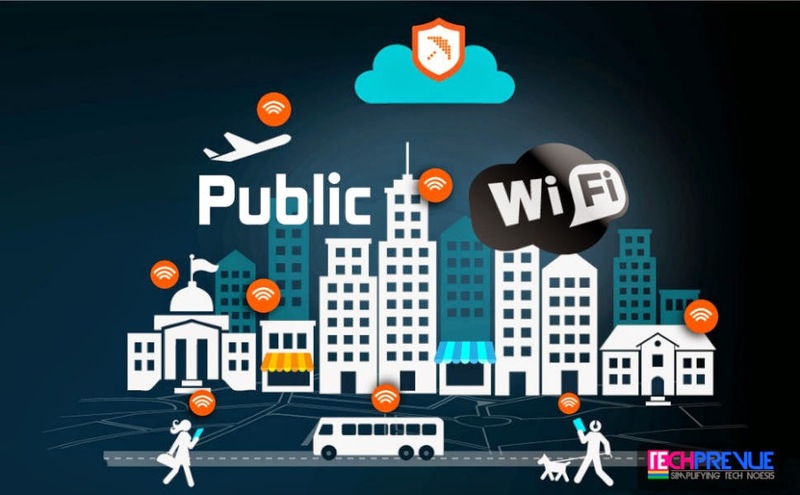 It’s easier to protect yourself than you might have thought – With all these possible ways for your information to be compromised, you might feel like you should never connect to a public Wi-Fi network again! But the thing is, if you’re aware of the risks, you can set up a VPN to protect yourself. A VPN will encrypt and scramble your data, so it becomes of no use to anyone who tries to read it. Of course, nothing is 100% foolproof, but a VPN will give you a more secure connection and make you a less appealing target for hackers. 10. Public Wi-Fi is a privilege – One last thing to remember: if you can find public Wi-Fi and have a device that can access it, you’re a very lucky person. Don’t complain if the network is a bit slower than your connection at home; you’ve probably still got a connection that’s better than some people have at their local internet café. And if you’re travelling and can’t find a Wi-Fi connection, it’s not the end of the world. Finding a free public Wi-Fi network is great, but that said, it’s a good idea to be smart about how you access and use these networks. With all the private information that we keep on our devices and with all our private accounts online, you definitely want to make sure you’re doing everything in your power to protect yourself against identity theft. You don’t need to be terrified of using public WiFi, but be sure you know the hazards and the ways to protect yourself!